We are happy to invite you to our Barcelona Bitcoin Halving Party! July 10 2016 – 17h – carrer del mar 62, atico. Barcelona. Every 210,000 blocks (4 years), the reward for mining bitcoins gets cut in half. This is a very significant milestone for our community, and we should celebrate it with a toast to Bitcoin’s creator Satoshi Nakamoto. The point is to celebrate an informal meetup to meet other bitcoiners, have lots of discussions and eat delicious BBQ food, while enjoying the summer. Important: Bring meat/veggies for the grill and drinks to share with others! 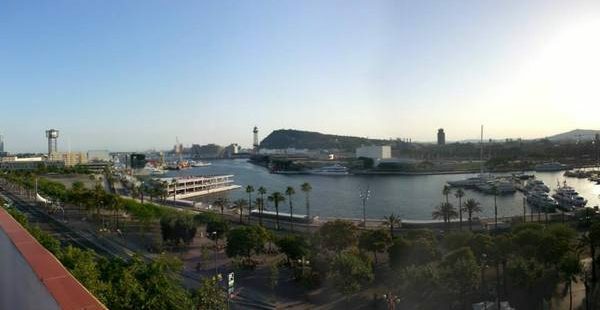 We provide a spacious terrace with an amazing view over the harbour in Barceloneta (Port Vell). As always, this meetup is free to attend and it is intended to discuss bitcoins, as well as any other digital/crypto currencies.